Vanishing Paradise is a program launched in 2009 by the National Wildlife Federation and Ducks Unlimited to advocate for restoration of the Mississippi River Delta among sportsmen and women across the country. We work with businesses, organizations and individuals nationwide to restore Louisiana’s waterfowl and fishing habitat by reconnecting the Mississippi River with its wetlands. Our team remains committed to restoring the Mississippi River Delta, and since the 2010 Gulf oil spill, we have expanded our advocacy to helping restore other critical habitats along the Gulf Coast. A native of Covington, La., Erin comes from a long line of Louisiana outdoorsmen. Her father was a commercial fisherman who is now a wetland biologist, and her family is full of avid hunters and anglers. She spends many weekends on a boat in the marsh of Plaquemines Parish reeling in trout and red fish, or in a duck blind or deer stand in North Louisiana. 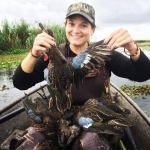 Prior to working with Vanishing Paradise, Erin worked at Pontchartrain Blue Crab, and later as a biologist with the Louisiana Department of Wildlife and Fisheries building relationships with commercial and recreational fishermen across South Louisiana. 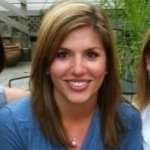 Erin has a bachelor’s degree in environmental management and resource conservation from Louisiana State University. From his earliest memories in the river bottoms of West Tennessee, Bill’s life revolved around hunting and fishing. By his teens, he’d hunted ducks in all four flyways and fished from East Tennessee to the Pacific. 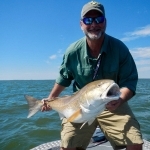 As an adult, he’s hunted from prairie Canada to the Gulf of Mexico and the Chesapeake to the California Delta, but the Mississippi Flyway was always “home.” His professional career has been in the outdoor industry; from an obscure duck call salesman to Marketing Director at Avery Outdoors to, most recently, Managing Editor of the Mid-South Hunting & Fishing News, communicating with sportsmen has been the key to his success. A native of Houma in coastal Terrebonne Parish, Louisiana, Emily Guidry Schatzel works with the National Wildlife Federation’s Louisiana and Gulf teams to increase awareness about the delta’s rapidly disappearing wetlands through strategic communications, including media engagement, public relations and social media. Emily holds a J.D. and a Master’s in Communications from Loyola University New Orleans, and dual Bachelor’s degrees in English and Mass Communication from Nicholls State University. Prior to joining the National Wildlife Federation team in 2009, Emily was the media director for the Foundation for Individual Rights in Education, a national legal and public advocacy nonprofit, and also worked as a communications consultant for the mutual fund giant Vanguard. 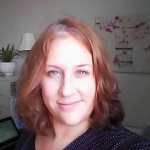 Alisha Renfro is a staff scientist for NWF’s Mississippi River Delta Campaign and the Vanishing Paradise program. Her role in the campaign is to make certain that accurate and up-to-date science is used to advocate for the restoration of the economically and ecologically critical Mississippi River delta. Alisha has conducted research in variety coastal environments, including salt and freshwater marsh, swamps, and barrier islands. In recent years, her research has focused on sediment transport and deposition in wetlands to understand the importance of sediment, the reasons behind declining wetland health and increased wetland loss. She has a bachelor’s degree in marine science from Coastal Carolina University, and received a master’s degree in marine science in 2004 from the University of North Carolina. She completed her Ph.D. in marine and atmospheric science in 2010 at Stony Brook University. National Wildlife Federation inspires Americans to protect wildlife for our children’s future. Founded in 1936 by editorial cartoonist J.N. “Ding” Darling, the National Wildlife Federation (NWF) has emerged as a premiere grass-roots conservation organization, leading an integrated network of four million members and supporters and 47 state-based affiliated organizations throughout the United States. Through a range of publications, grassroots networks, and professional staff NWF unites Americans in their shared value of wildlife conservation. Ducks Unlimited was founded in 1937 to conserve, restore, and manage wetlands for North America’s waterfowl. DU is a charitable, non-profit,501©(3) organization with over one million members and supporters in all 50 states. DU has helped conserve over 12 million acres of habitat. Ducks Unlimited has worked to conserve over 240,000 acres of waterfowl habitat throughout Louisiana. These marshes were once among the most productive wetland systems in North America, regularly holding half of the wintering duck population of the Mississippi Flyway. Today, the region’s ability to support waterfowl has been severely compromised by natural and human-induced changes that have caused dramatic loss of wetlands and their associated functions and values. 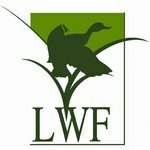 Ducks Unlimited and NWF are partnered to advocate for restoration of the processes that created Louisiana’s coastal wetlands by nationalizing the issue and educating members of Congress. Learn about DU’s habitat projects. Louisiana Wildlife Federation is the oldest non-profit conservation organization in the state of Louisiana. LWF has been working to preserve fisheries and wildlife habitat and the rights of the citizens to access and enjoy those resources since 1940 by helping establish Louisiana’s Wildlife and Fisheries Commission as well as working with state policy makers to craft laws, limits and regulations that ensure the long-term sustainability of the state’s natural habitats, fisheries and wildlife. The Louisiana Wildlife Federation and its 25 affiliate organizations represent more than 10,000 hunters, anglers, trappers, hikers, bird watchers, biologists and other outdoorsmen and women across the state.